Rebel is an obvious choice, and one everyone seems to love. It’s a nice berry – not too purple and not too red. Makes teeth look whiter, and I love how it’s vampier but still quite gentle. 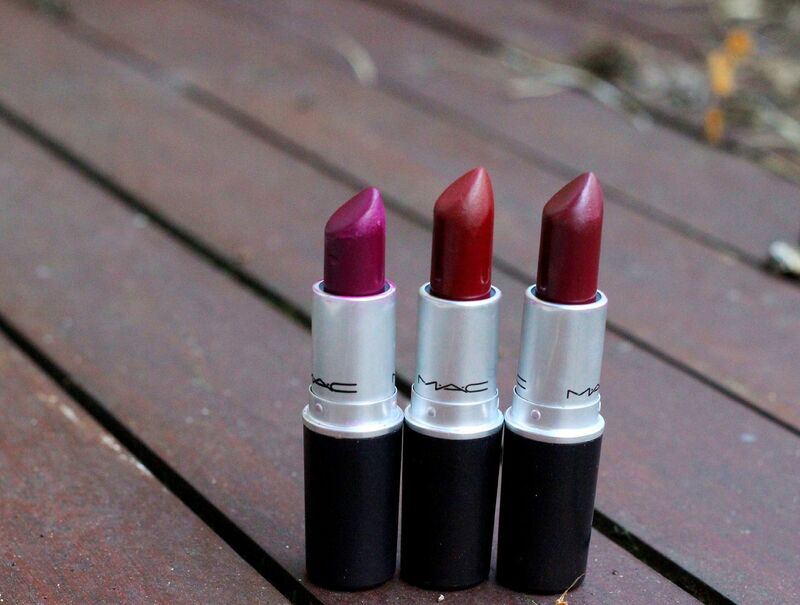 One to break you into darker lips maybe? Diva is a matte, which I am obsessed with, because it just means it’s easy to wear without it smudging around your face or anything. Also, the name automatically makes you feel sassy when you slick it on, because you do feel like a Diva, which is never a bad thing… If you like wearing red lipstick but crave something darker, check this out. Dark-side is not miles apart from Diva, but it’s an amplified so it is a bit glossier and creamier, and the colour looks darker on the lips. It’s less red and more purple-toned than Diva, and is maybe the vampiest of the lot. Oooh, I’m so excited to wear this. 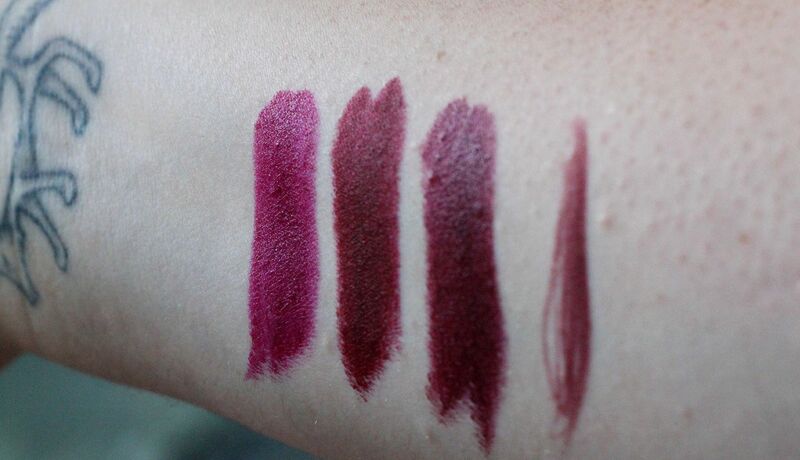 Burgundy lip liner… a little ad-on. The liner that works with all of these lipsticks! Liner is so good when you’re wearing dark lips, as you want things to look really neat.